If you pull on the thread of almost any story, it will lead you into the next. On St. Martin, this is especially true. People know each other—cousins, aunts, friends and classmates. A conversation about salt turns into one about bush medicine or walking across the island to go to school. A handful of old photos can spark stories that connect French Quarter to Grand Case. I recently spoke to Elise Hyman about her work in salt production in Orient Bay. She remembered all her co-workers from French Quarter, although only a few are still alive today. She remembered reaping salt from the pond and bagging salt from the great pile and bringing it out to ships that would arrive from Guadeloupe. 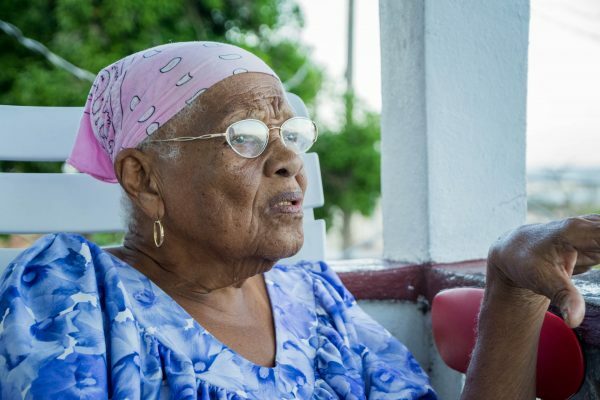 Elise Hyman talks about life on St. Martin from her porch in French Quarter. Cremole is featured in the poem “Spirit of We Fish Pon” by Laurelle “Yaya” Richards. The poem winds its way from tales of fish to cassava. Elise Hyman does as well in our conversation. She remembers going to Grand Case because they had “terrific ground” and grew sweet potatoes, pigeon peas, yams and more in abundance. Elise still works in her own garden today, where she grows a variety of plants used for bush tea and bush medicine. 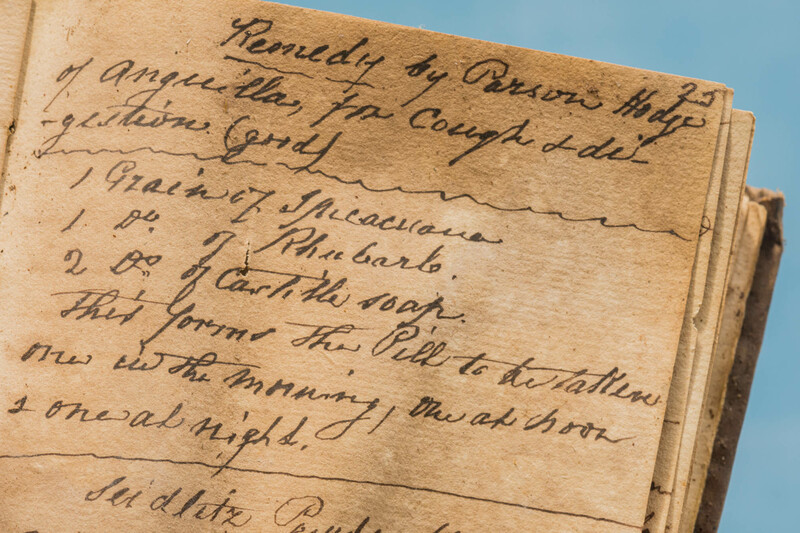 It was once the only kind of medicine available, and the traditions are still alive. 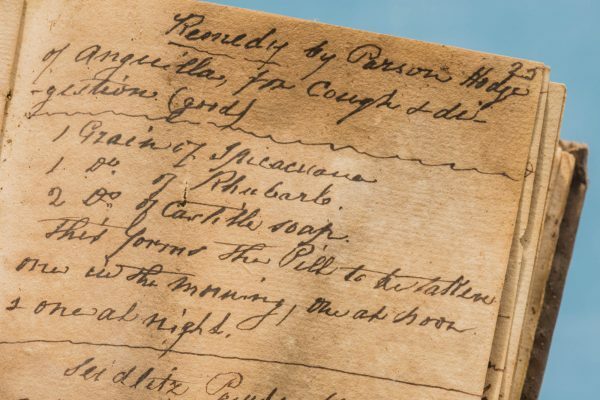 A cough remedy “by Parson Hodge of Anguilla” that includes rhubarb. As the Les Fruits de Mer association develops Amuseum Naturalis at The Old House, we are sharing the stories of St. Martin from the people of St. Martin. We are finding out how the stories of nature, history and culture connect together. Join us on Sunday, May 20th from 9am to noon for the Endemic Animal Festival. It is a free event that celebrates the animals that live only here. We will also be exploring other aspects of nature and heritage and how all these stories come together. For more info, visit lesfruitsdemer.com.